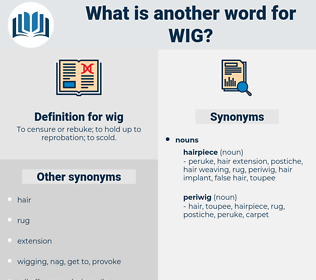 What is another word for wig? To censure or rebuke; to hold up to reprobation; to scold. The Marquis, a noble of the old school, was in the habit of wearing an elaborate wig with a long cue. In order not to be recognized, he was dressed as a citizen, and wore a wig and spectacles. 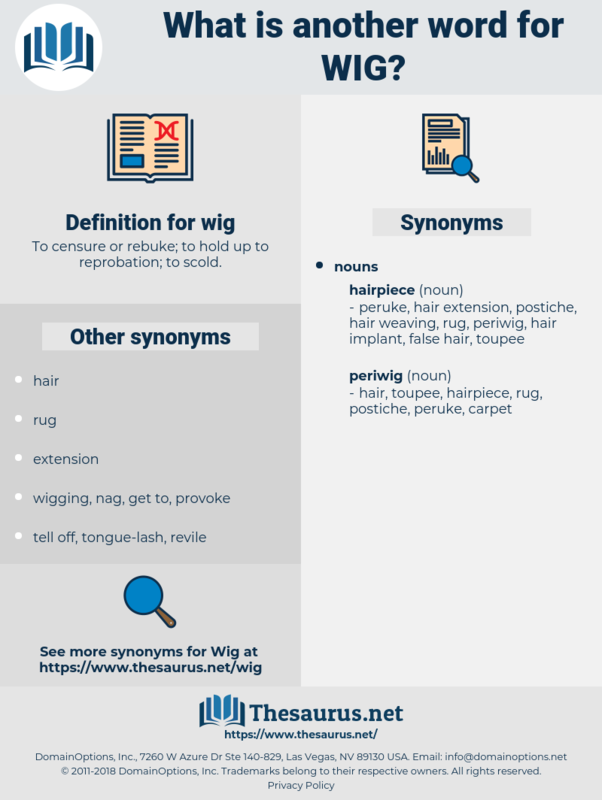 horsehair wig, periwig, grizzle, peruke.